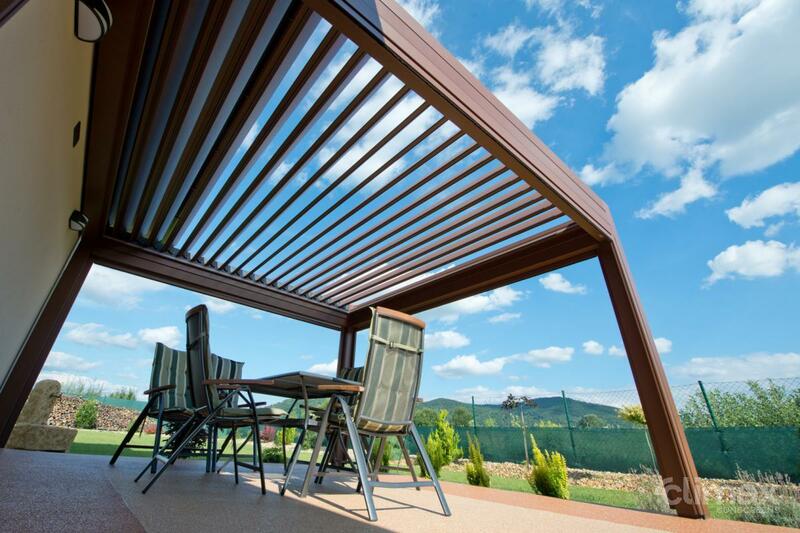 Pergolas, conservatory shading - MED TWIST - SERVIS CLIMAX, a.s.
MED TWIST is an impressive external pergola, which will protect you from the sun and rain. 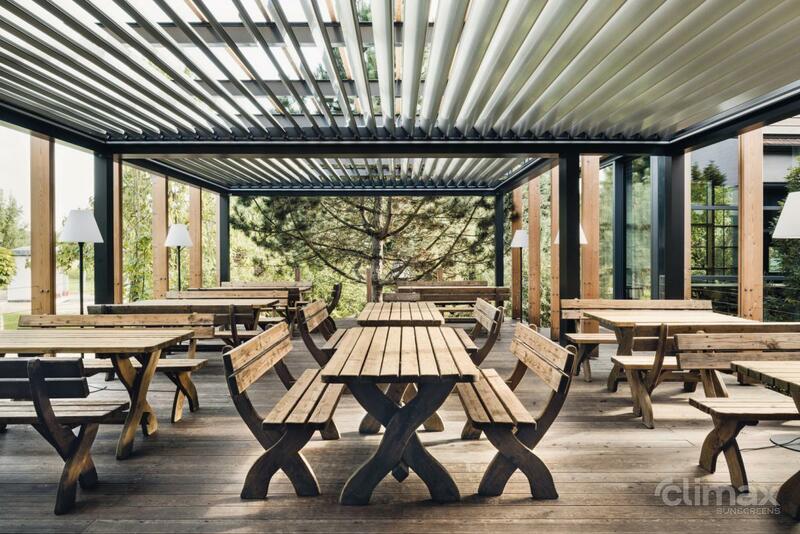 The roof is composed of individual slats that can be turned in the angle of 0°-135°. In the closed position, not a drop of water will penetrate through the roof. 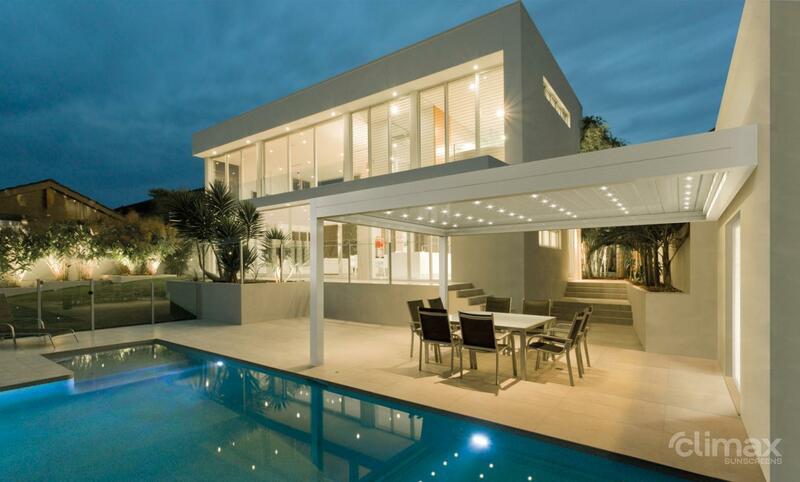 This awning also features optional lighting. 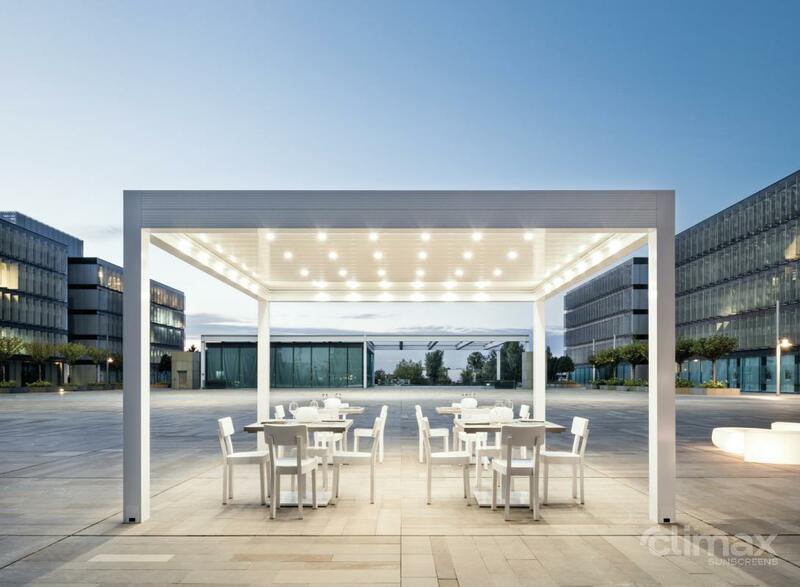 The MED TWIST external shading is produced as a free-standing structure or with a support system in the front. 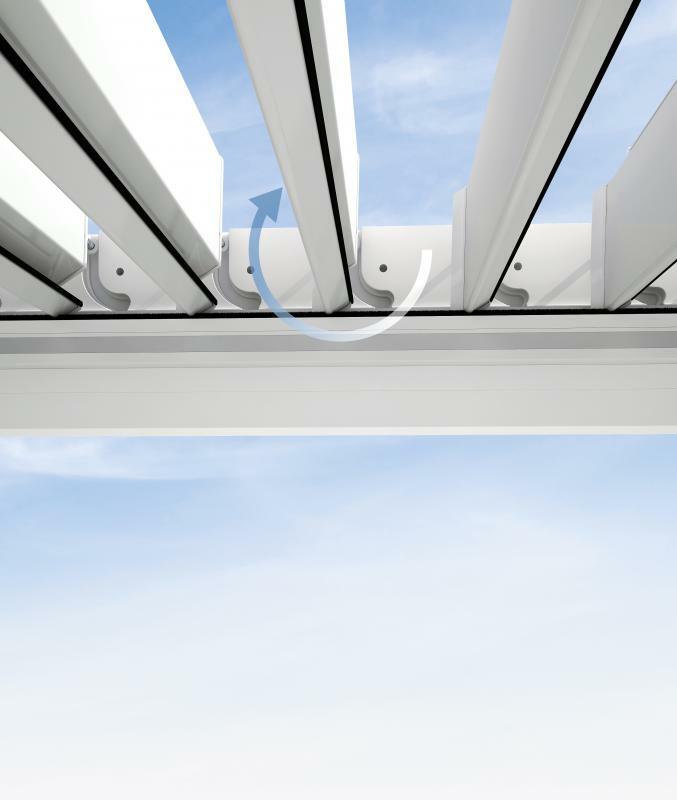 The structure consists of aluminium guide rails and perimeter profiles connected to vertical supports, which ensure drainage of water from the gutter. 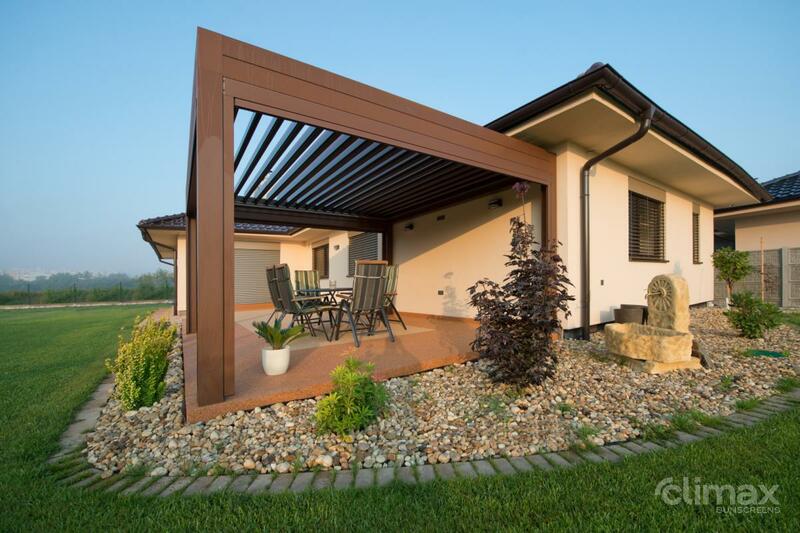 The slats of the mediterranea can be filled with polystyrene for better dampening of the rain and the pergola can be supplied with spotlights in the slats or in the perimeter profile or RGB strips integrated in the perimeter profile.